Description: Internet marketing guide, SEO, social media promotion guide for promoting your online business quickly, easily and effectively. Learn from the best marketing techniques to apply for your business now. 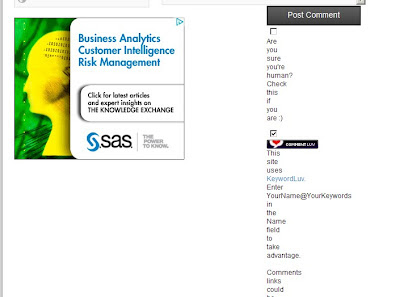 Both on Chrome and Safari - comment form and ads overlap. Since the site owner submitted the link for his blog, we'll focus on this blog only and not the whole site (located at www.bxuhub.com). I'm giving my points to the corporate look of his site. Though the "above the fold" part seems lack of something catchy for the eye. Being on the marketing side, a site should be somehow catchy on the first 15 seconds, and that is something I didn't find on your site (I'm just pertaining on the upper half). The AdSense banner looks good somehow in my opinion. Usually placing ads above the fold can be used in your advantage as long as you don't violate any Google algorithms. The article's page looks corporate especially with the author's profile at the bottom. The tweet widget in my opinion will work great, users tend to click on buttons always -- the exact reason why "Think Before You Click" was popularize. I find the comment forms dirty on some browsers -- see the image on the cross browser checking part. Always check for the browsers compatibility, most of the time it breaks some of your contents. Remember that inline-table display doesn't work on some browsers. One thing to mention here is you lack of "what to read next" thing (I think that is called pagination or something like that). Tendency is, after reading your posts, people will leave the site after. Lack of contact page - even if this is just a portion of the actual site, shouldn't there be any way that the users can contact you? I love the way you write your articles, it's like a work of a foreign pro on this genre. As a web admin who wants to know more about SEO, I find your articles worth reading. BXU is a unique three-letter code for Butuan City, Philippines. It is used as an "International Air Transport Association (IATA) Location Identifier". In simple term, it is an Airport Code. It’s obviously much easier for pilots, controllers, travel agents, frequent flyers, computers and baggage handlers to say and write BXU than the Butuan City Airport in Butuan City, Philippines. Among the locals of Butuan City and even Filipinos around the globe used BXU to refer Butuan City. Instead of directly branding as Butuan City Hub, an abbreviated online identity was created – the BXUhub.Com . Though I don't literally get the relationship of marketing with Butuan City, I'm guessing that this might sound like a corporation or company-like group based on Butuan that specializes on Search Engine Optimization -- but as I have said, "I'm just guessing". The problem here is you need to actually get to the bxhub.com before knowing this information -- on the blog itself, this data is unavailable. Giving the consideration with the name, I don't get the idea of the logo. It seems like a cross for me rather an X. The logo on the blog seems to be stretched too. With that, the X mark that usually catches attention looks like a road intersection. On the other hand, I'm giving my point to the tag line found on the right side of your header. I'm not sure if you're Facebook page is malfunctioning or you really don't have enough likes. Question is, do you want to show it to your visitors? In this category we usually judge how a site creates impact to your visitors. 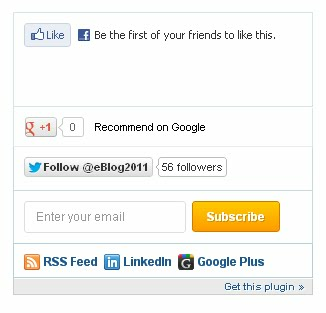 With the zero likes and a weird recommendation plug in, what do you think your visitors think? Today's guest judge is Engr. Long Legs. Long Legs is a licensed engineer and currently working as a project manager in one of the biggest telecoms company here in the Philippines. The design is a bit pale. It actually looks like another redirected website whenever you mistyped a URL. But one thing commendable is the layout of the site. It has a great panel for the articles- larger than the ads. Another thing, the site is full of articles but less images. I think it is a factor that makes the site boring. I still believe that adding images would not make the website less informative. It might help make the site more inviting. I tried to read some of the articles but I can't seem to find the central theme of this site. Basically, it is an Internet marketing guide. It is indeed an interesting topic to blog with. The site has useful topics worthy of reading. However, the articles are lacking the "umph." They are almost seriously written, as if one is reading a marketing textbook. This is where I got all the issues. I could not exactly tell that this website is about Internet marketing. First, it is primarily brought by a very weird site name (bxuhub). There is no recall. I find it hard to even pronounce the site name. 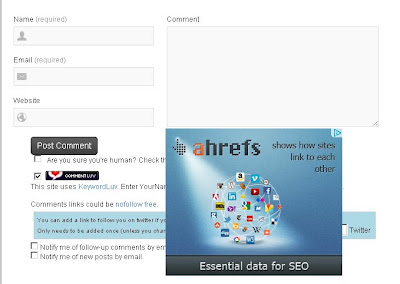 In addition to this, the site name does not tell anything about Internet marketing. Second, it does not define it's own style. Almost all articles are written much like yahoo-SHE. The site should at least have its own style- something that would remind the readers that this is a site worth visiting. Overall, this is "another" website. Forgettable. But with some design tricks and good writing style, this site might be reborn in the future. So that's it, again this is just a friendly review from BTT. We aim for a better site and not to insult the owners and administrators. Whether you follow our tips and suggestions depend on your decision. Ciao! 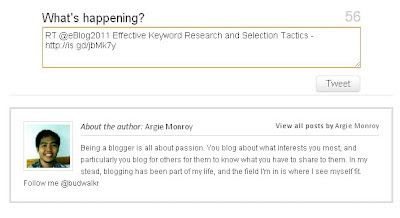 To submit your own blog simply fill-up the form on this page or read this post. Thank you, we'll be happy to review your sites for FREE!